Our friends Joe and Monica Devance are expecting their first child very soon. Her name is Isabella and I know she is going to be a beautiful girl! 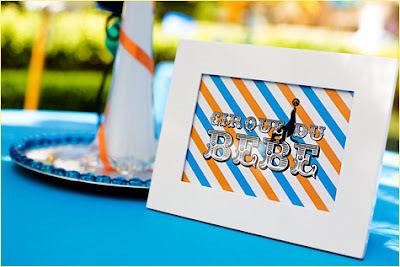 Tristan and Julie threw a lovely French circus-inspired Cirque du Bebe baby shower! The inspiration was this. They designed a baby girl version with pink and orange colors + a zebra-print accent. Check out the beautiful details.